Yet not one of those other machines was nearly as powerful as the Asus. There's no way any of those systems could play games or process video as fast as my laptop, outfitted with a 4GB GeForce GTX 980M. I'm positive none of their systems featured a 1TB Sata drive on top of a 256GB SSD for speedy system booting. Now the first real day of snowfall, when I stood in line at the food market for 45 minutes wearing two backpacks, one containing the ROG and the other an Xbox 360 — that was pretty hellish. 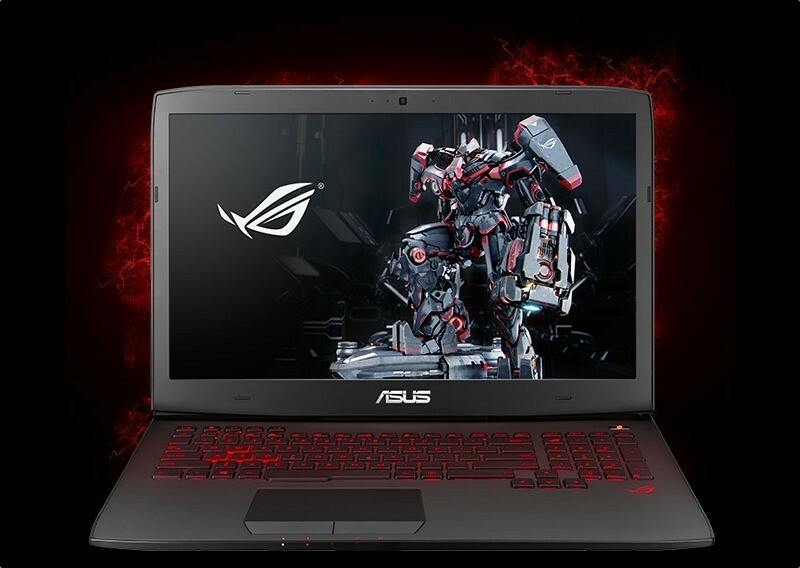 Playing With Power: The ROG G751JY-DH71 (damn right I am copying and pasting that) is the first gaming laptop I've tested with Nvidia's GeForce GTX 980M, and boy am I impressed. The Maxwell-powered chip demonstrates amazing graphical prowess for a mobile solution, devouring the likes of BioShock Infinite on Ultra and spitting it back out in the low 90 frames-per-second. With Total War: Rome II's benchmark set to max it hovered around 60 frames-per-second, but came in just under with 59 in the end. Most impressive of all, the famously treacherous Metro: Last Light benchmark averaged 32 frames-per-second at maximum settings, making it the first gaming laptop I've reviewed to reach above the 30 mark. A Display of Brilliance: You can keep your 4K laptop screens — give me a nice 1920x1080 anti-glare IPS panel with an amazing viewing angle any day of the week. Asus' Splendid Utility gave me quick access to monitor adjustments, with three presets and a manual slider to adjust warmth to my liking. I spent many an hour staring at this screen, and I'd spend many an hour more. The Desktop Wallpaper: "Are you really calling out a laptop on its wallpaper?" Yes, I am.